What Happens When a Fraudulent Tax Return Is Filed? We all know that we’re supposed to protect our Social Security numbers (SSNs) at all cost. Don’t carry your card in your wallet or give the number to anyone who doesn’t have a valid reason for requesting it. Identity thieves can wreck all kinds of havoc with that simple nine-digit number, from taking out loans in your name to, yes, filing a fraudulent tax return using your identity. Tax-related identity theft usually occurs because someone is trying to collect a tax refund you’re entitled to before you file your return and ask for it. Fraudsters tend to file immediately, as soon as the IRS officially opens its doors to begin processing returns for the year. The idea is to beat you to the punch. The thief will have that refund in hand—or spent—long before you get around to firing up your tax preparation software. 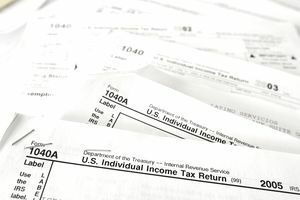 Taxpayers are often tipped off that returns have already filed using their SSNs when they attempt to e-file, only to be informed that they’ve already submitted a return. This isn’t something you’re likely to forget doing, so it’s a real red flag. But sometimes the IRS simply picks up on a suspicious oddity in a return filed in your name. This is the best-case scenario, because the IRS won’t send out any refunds until the matter has been cleared up. The IRS will also catch the problem if you mail your return the good, old-fashioned way rather than e-file, but it already has a current tax return on file for you. The IRS will send you a notice if it detects a problem, either a “Letter 5071C” or “Letter 4883C,” depending on why a flag popped up. It will ask you to confirm your identity and tell you how to do so. Otherwise, if your e-filed return was rejected, it's up to you to let the IRS know. You’ll have to file a paper return if you attempted to e-file only to have your return rejected because the IRS already has one under your SSN. Include IRS Form 14039, the Identity Theft Affidavit, with your return. Don’t submit the form unless your e-filed return was rejected or you received notice from the IRS telling you to do so—one of those 5071C or 4883C letters. You can complete Form 14039 online, then print it out and mail it along with a copy of your Social Security card and your driver’s license, military ID, or U.S. passport. Another ID card issued by a government entity is acceptable as well. Given the nature of the problem, you might want to do this by certified mail, return receipt requested, so you're sure this information hasn't somehow fallen into the wrong hands. If you're responding to a letter from the IRS, it should tell you where to mail all these documents. Otherwise, if your e-filed return was rejected, send the Form 14039 and other paperwork to the IRS at P.O. Box 9039, Andover, MA 01810-0939. You can contact the Taxpayer Protection Program at 800-908-4490 if you have any questions or need guidance. The IRS has implemented this program to help taxpayers with identity theft situations. The IRS notice might also ask you to confirm your identity. You can do this online at the Identity Verification Service offered by the IRS. Make sure you have a prior year’s tax return at your fingertips because, after all, the object is to ensure that you really are who you say you are. You’ll need information from that return in order to confirm this. You'll also be asked for your date of birth and SSN. The IRS will acknowledge receipt of your Form 14039 if you sent one, and it will turn the matter over to its Identity Theft Victim Assistance Program (IDTVA) to investigate the matter. You should receive notification that this has been done, then of the eventual outcome in about six months. Otherwise, if you've been asked to confirm your identity, you can then tell the IRS that you didn’t file the iffy return in question. The appropriate number to call should appear on your notice. They’ll pluck the return out of their system—no refund will be sent to the identity thief. The IRS will also tag you in its system as an identity theft victim or potential victim. This is intended to divert other similar attacks in the future. Finally, you’ll hear from the IRS one last time after all is said and done and the situation has been rectified. You’ll be offered the opportunity to sign up for a Federal Identity Protection PIN or “IP PIN.” If you accept, you’ll use these six numbers to identify yourself when you e-file future tax returns. If you decide you don’t want an IP PIN, you’ll have to submit paper tax returns for the rest of your life. Although you’ll be issued new digits annually, you must use the pin to e-file all your future returns. Remember that the IRS will never email you or call you about a problem unless you’ve already been in touch with them about an issue. Delete any suspicious emails unopened. Don’t answer your phone or return any calls with an IRS caller ID if you're not expecting communication from them. Report online and email incidents to the IRS at phishing@irs.gov. Call 800-366-4484 for other types of contact, such as by phone. Don’t neglect to check with your state’s revenue department as well if you’re a victim of federal tax ID fraud. It’s possible that the thief didn’t stop with your federal tax identity. Let your local police know what’s happened if you’ve been targeted as a victim. Make it a matter of official public record. And keep in mind that if a thief has your SSN, he might not stop at using it to file a fraudulent tax return. Reach out to your financial institutions, the “big three” credit reporting agencies, and the Federal Trade Commission as well.